A perfect combination of wood and rock elements to enhance your dining and entertaining experience. A perfect combination of wood and rock elements to enhance your dining and entertaining experience. Complete with beautiful rock inlay, this table comes with an extension panel to accommodate larger parties. 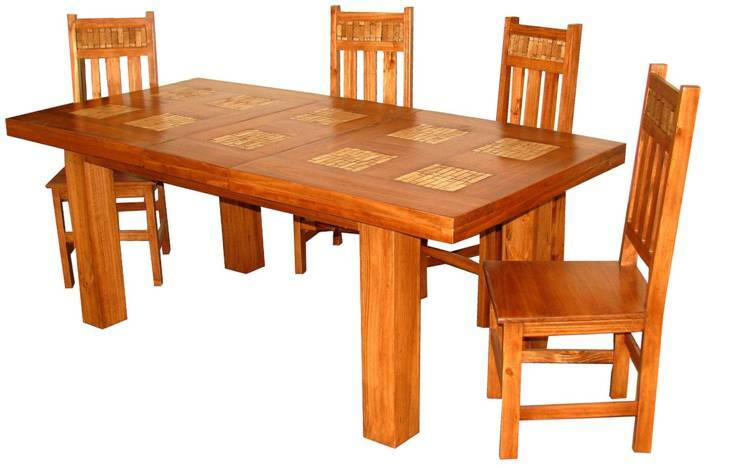 This dining ensemble adds warmth and rustic contemporary elegance to your decor.